All the social media craze on Met Gala is great, and the jokes are highly entertaining. Its fuel that be supplying the internet with memes for a while, or at least until mid-May. The automotive community, however, isn’t first on the list when it comes to fashion forward thinking. A lot of us aren’t interested in Vatican City Pimp suits and dresses that could make a peacock feel insecure. We like T-shirts with our favorite jargon written across it, and showcase oil stains on jeans like merit badges. Nevertheless we do notice a few things: gloves, shoes, and jackets! Look back at all your favorite automotive focused movies and TV shows. What do the majority of them have in common? A bitchin jacket! Drive, Smokey and the Bandit II, Baby Driver, Gone in 60 Seconds, Deathproof, Wheelman, Knight Rider, Mad Max, Starkey and Hutch, and Faster are just a few examples. Famous car-enthusiasts like Alex Roy have even created a business model out of this. Polizei 144 sells driving jackets for people who want to capture that James Dean Rebel without a Cause level of subtle coolness. But why jackets? One could easily say that it’s just people trying to copy what they see on the screen. However, my theory is that wearing a cool jacket is the closest socially acceptable thing to wearing a superhero cape or a suit of armor in public view. Show me someone who doesn’t have insecurities, or is ridded with anxiety, and I’ll show you a liar (or a sociopath). Everyone has flaws and we all have our own methods of coping with them. Wearing a cool jacket can be a security blanket, a shield, or an image we want to project to the world. A costume for reality. I’m only 25 but I still have leather jackets from when I was 13 that still fit (A long term perk of being a chubby kid). Much like our cars a good jacket can last for decades if properly looked after. They can hold memories, be personalized, and even become a part of our personality. It’s more than just an article of clothing the same way its more than just a means of transportation. 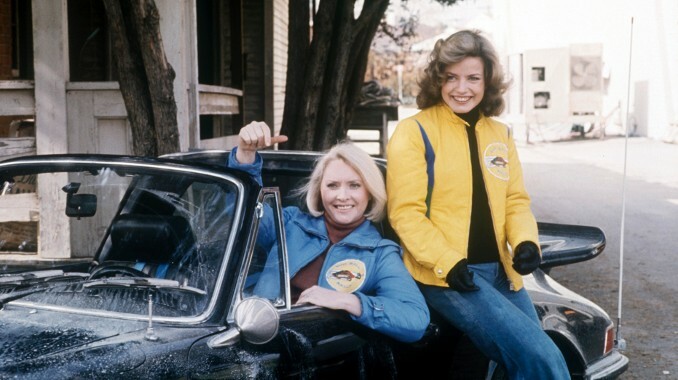 In keeping with the fashion theme it’s time we look at a few examples of the coolest driving jackets in TV and film. 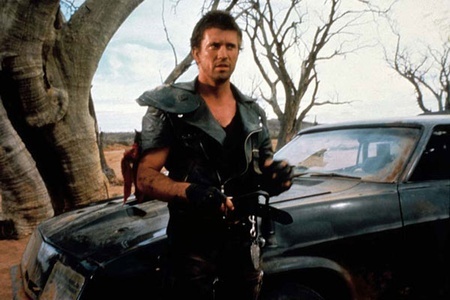 Max Rockatansky’s black biker jacket has been on his back throughout the entire trilogy. Starting from the first film as a crisp and clean uniform sporting a bronze Main Force Patrol badge and a high caliber revolver in the shoulder holster. During the films that followed the jacket got some serious road rash (along with Max) and it still looked cool. The perfect jacket worthy of the man they call the Road Warrior. He doesn’t talk much, but he sure does love his jacket. 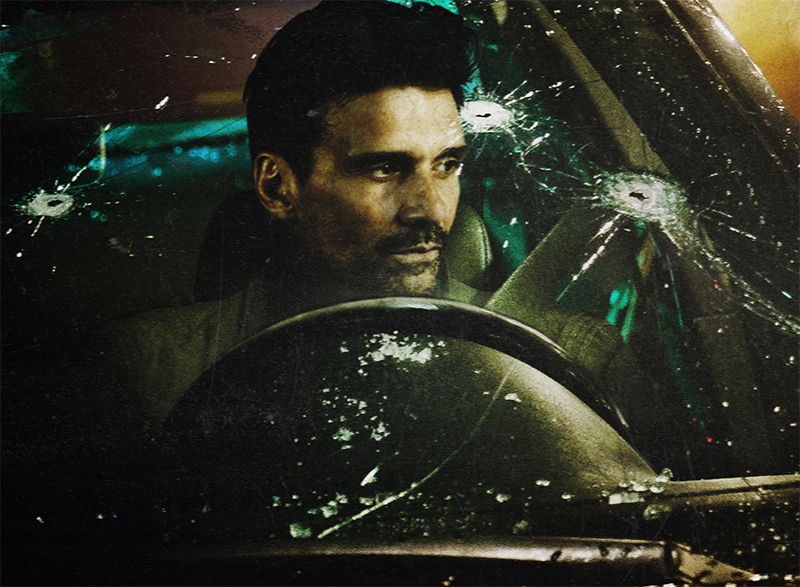 The driver rarely takes it off when he’s out in public (even after it gets ruined with blood stains). The Scorpion satin jacket is his batman cape. His not-bullet-proof vest that allows him to be who he needs to be in order to save the girl and defeat the bad guys. The sequel to the cult classic showcased Burt Reynolds in this farewell to the 70’s article of clothing. It had “Bandit” written down one arm and “Trans Am” on the other with a Screaming Chicken decal on the front like a badge of authority. This flashy red faux cowhide may have been product placement to sell more Turbo Pontiacs, but it was also the perfect coat for the world’s biggest show off. He’s a smooth talking stunt driver with a fetish for murder. Stuntman Mike’s jacket comes equipped with automotive themed patches on each arm and a big Icy Hot, NASCAR inspired, sponsor decal across his back. The jacket is part of his sheep’s clothing when this wolf is out on the prowl in his Deathproof Chevy Nova. David Hasselhoff, the Hoff! Can you think of anything more appropriate for KITT than a tight fitted black leather jacket? 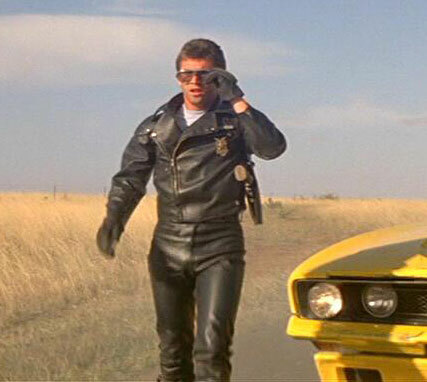 You can’t drive a talking black Trans Am without looking the part when you jump out to shoot the bad guys. It has to match! 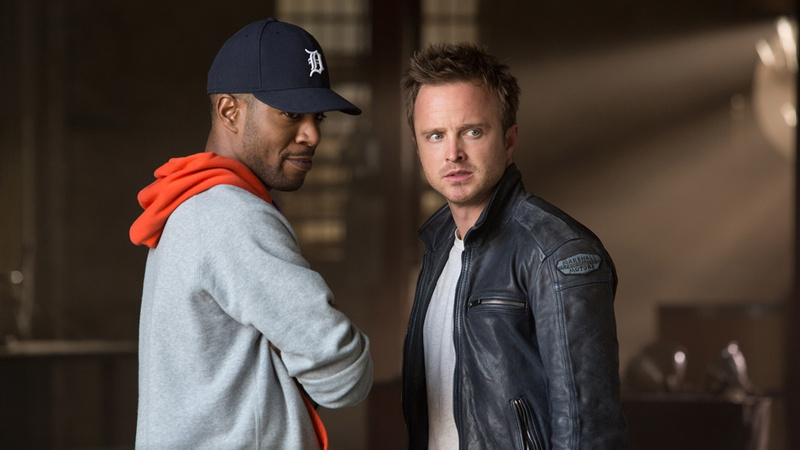 Only a TV show about two undercover detectives in a bright red Ford Torino could make a white knitted jacket look cool. Reacher’s luck in finding a prefect fitting leather jacket at a Goodwill was the most unrealistic thing in the entire film. Before Cannonball Run there was Gumball. A film about racing from New York to Los Angles in protest of the 55 mph highway law. “55 mph is unsafe. It’s fast enough to kill you but slow enough to make you think you’re safe.” The man has a valid point. A documentary about the record breaking transcontinental run from NYC to LA. Alex Roy makes outlaw rallying look good. He’s driving hero we didn’t ask for, but one we enjoying having. Check out his Human Driving Association! A street racing mechanic fresh out of prison for a crime he did not commit chases vengeance across the country in a Shelby Mustang prototype. Nice. A 1969 Dodge Charger with a blown hemi running on hell fire. Getaway driver fresh out of serving a 10 year prison sentence is on a mission to cut down those who killed his brother. A revolver, a 1970 Chevelle, and a leather jacket is all he needs. 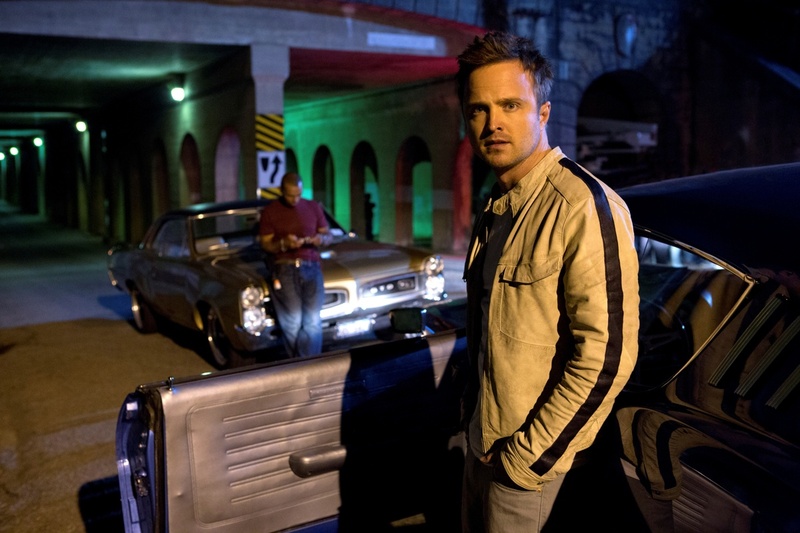 Hot Rodder rolls into a speed trap town looking for clues to the death of his brother who was run off the road by a homicidal cop in a souped up Chrysler patrol car. A burnt out NASCAR driver is forced to raise hell behind the wheel of a bulletproof Shelby Mustang Supersnake. Weekend racer trying to pay off a prison debt agrees to drive for a bank rob. As usual, things get complicated. 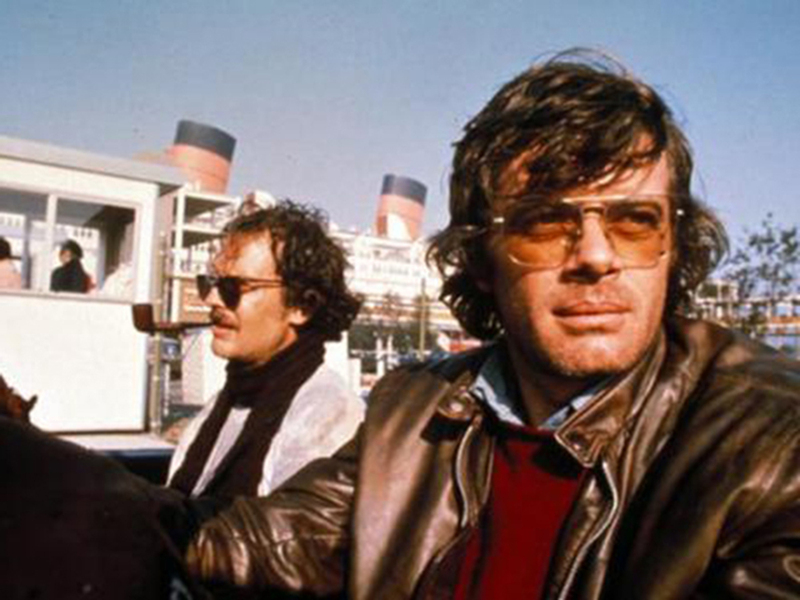 Ex-doctor and ex-con Rennie tacks down a serial killer who likes to cause traffic accidents, and murdered Rennie’s wife, in a 1972 Cadillac Eldorado. A brown leather jacket and a 1968 Plymouth Hemi Barracuda Super Stocker is all he has to stop him. Burt Reynolds, a man so cool he made the list twice! 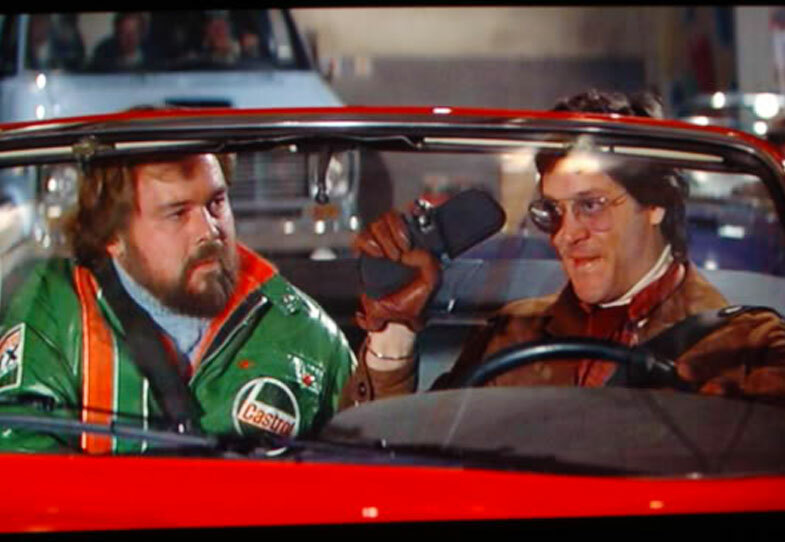 Fun Fact: Hal Needham, the director of the film (and Smokey & the Bandit) actually ran the real Cannonball Run in a van with a red-hot big block under the hood. That means this film is based on true events. Who do you think had the coolest look? Who do you think should also get an honorable mention? Should I do a follow up of badass drivers who only wear suits or formal attire? Couple typos – “prefect” instead of “perfect” in two places.